When it comes to your health, it's important to have a doctor with the full package: expertise in treating a multitude of illnesses, sealed together with compassion and trust. 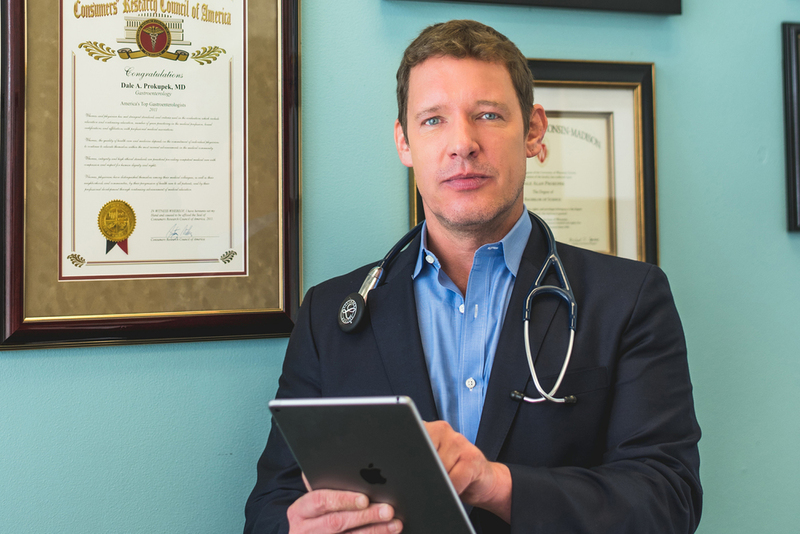 Say hello to Dr. Prokupek–Los Angeles' favorite doctor for internal medicine and gastroenterology. We specialize in treating patients with complex diagnostic and management needs. Dr. Prokupek also provides a wide range of preventative care services, and can advise you on lifestyle choices to stay as healthy as possible. From annual exams to chronic conditions, we can address all of your general healthcare concerns..
Dale Prokupek, MD is an award-winning, board-certified internist and gastroenterologist. He has over 14 years of experience treating patients, including the most complex cases. He understands the need for thorough evaluation, aggressive treatment, and close follow-up. Dr. Prokupek uses the most current, state-of-the-art medical equipment to accurately diagnose and treat medical conditions.